2G Case: A Raja was also accused of accepting a 200-crore bribe by a telecom operator which was deposited in a TV channel owned in part by DMK MP Kanimozhi. New Delhi: Three months after acquittal in the 2G case, the Delhi High Court today issued a notice to former telecom minister A Raja, DMK MP Kanimozhi and others on a plea of the Enforcement Directorate (ED). A Raja was accused of allocating airwaves and licenses for cellphone networks in exchange for kickbacks and causing the state a loss of Rs. 1.76 lakh crore. He had also been accused of accepting a 200-crore bribe by a telecom operator which was deposited in a TV channel owned in part by Ms Kanimozhi. In December, while DMK supporters and Congress leaders hailed the court's decision, the BJP appeared standoffish over the verdict, which came after a six-year-long trial. Following is the chronology of events on what is believed to be India's biggest scam. October 21, 2009: CBI registers case related to alleged irregularities in allocation of 2G Spectrum. May 2010: NGO Centre for Public Interest litigation or CPIL moves Delhi High Court seeking Central Bureau of Investigation or CBI probe into irregularities in spectrum allocation. October 8, 2010: Supreme Court seeks government's response on Comptroller and Auditor General's or CAG report on the alleged scam. Vinod Rai was the CAG during the time. November 10, 2010: CAG pegs loss to exchequer at Rs.1.76 lakh crore. November 14, 2010: A Raja resigns as the communications and information technology minister. December 8, 2010: Supreme Court orders setting up of a special court to look into 2G scam. February 2, 2011: A Raja gets arrested. April 2, 2011: CBI files chargesheet in the case. April 29, 2011: CBI files supplementary chargesheet in the case. September 15, 2011: BJP leader Subramanian Swamy goes to CBI special court seeking P Chidambaram to be made co-accused. October 22, 2011: Special CBI court frames charges against 17 accused, including Mr Raja. October 22, 2011: Court frames charges against Mr Raja and others. November 11, 2011: Trial begins in the case. November 23, 2011: Supreme Court grants bail to five Corporate honchos. December 12, 2011: CBI submits third charge sheet, including names of Essar promoters Anshuman Ruia, Ravi Ruia, Essar Group director strategy and planning Vikas Saraf, Loop Telecom promoters Kiran Khaitan and her husband IP Khaitan as accused. Loop Telecom Pvt Ltd, Loop Mobile India Ltd and Essar Tele Holding also recognised as accused. February 2, 2012: The Supreme Court orders cancellation of 122 licences issued in 2008, gives companies four months to cease operations. February 4, 2012: Trial court dismisses Mr Swamy's plea to make Home Minister P Chidambaram an accused. November 28, 2011: DMK MP Kanimozhi gets bail. May 15, 2012: Mr Raja gets bail. May 25, 2012: Court frames charges against promoters of Essar and Loop, grants bail. April 25, 2014: ED chargesheets Mr Raja, Ms Kanimozhi and others. October 31, 2014: Money laundering charges framed against Mr Raja, Ms Kanimozhi and others. November 17, 2014: Trial begins in money laundering case. December 5, 2017: Court sets December 21 as judgement day in the case. December 21: All including Mr Raja, Ms Kanimozhi acquitted in the case. "Justice has prevailed," says Ms Kanimozhi. February 23: Senior advocate Anand Grover, who was appointed as special public prosecutor in 2G spectrum allocation cases in 2014 moves the Supreme Court requesting that he be relieved from all the 2G cases in all courts. March 12: Taking a tough stand, the Supreme Court gives a six-month deadline to the CBI and the Enforcement Directorate to complete the investigations into the cases linked to the 2G scam, including the Aircel-Maxis deal. A bench of Justices Arun Misra and Naveen Sinha also directs the centre to file a status report on investigations into the 2G-linked cases within two weeks. March 19: The ED moves Delhi high court challenging a special court order acquitting all the accused in the money laundering case arising out of the 2G scam. March 20: The CBI moves Delhi high court against acquittal of A Raja, Kanimozhi. 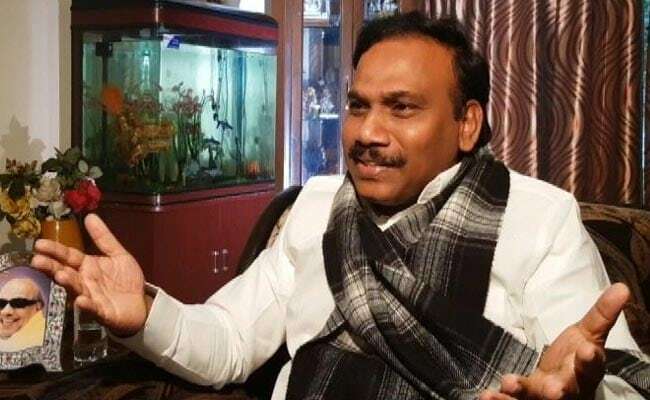 March 21: The Delhi High Court issues notice to A Raja, DMK MP Kanimozhi and others on a plea of the Enforcement Directorate challenging their acquittal in the money laundering case.